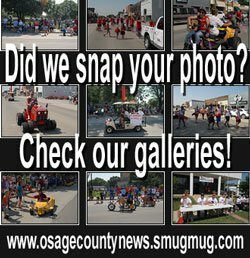 The following information was compiled from records at the Osage County Courthouse June 12 through June 16, 2017. Wells Fargo Bank to Secretary of VA. Lot 9 and W 45’ Lot 10, Block A, McCormick Subdivision B, Carbondale. Robin R. Nelson and Steven O. Nelson to Drew Wroth and Gail Wroth. Tract NE 1/4 2-14-14. Bruce D. Rieck Trust to Safe Harbour EAT III LLC. Tracts SE 1/4 and NE 1/4 24-15-14. 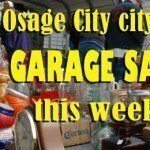 Osage Properties LLC to Ryan Lickteig and Jessica Lickteig. Out Lots 21 and 22, exc. 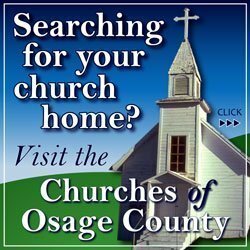 N 150’, Osage Land and Mining Company’s Addition, Osage City. Kenneth A. Prost and Teresa Prost to Kevin Holmes and Rachel Holmes. Lot 3, Prost Subdivision. Joe Smith and Jane Smith to Steven Allen Robb and Marie Robb. Odd Lots 1-5 and E 19’ Lot 7, Block 15, Vassar. Larry M. Lesslie to Benjamin Jesse Manning. Tract NE 1/4 12-14-15. Emma Luella Brown Estate to Christina Behrens and Colton Denk. Even Lots 2-8, Block 3, Edgar and Jenness Addition, Carbondale. AW Ranch LLC to Clell D. Rantz and Linda S. Rantz. Tract SE 1/4 6-16-17. Peter Alan Simpson to Mark McCain Jr. and Alyssa McCain. Tract SW 1/4 34-15-17. Ester Lois Smith Living Trust to Thomas B. Stringer and Jeanette M. Stringer. Tract 4 and 5, Lake Oshawno Estates. Ronald P. Desch and Sharon E. Desch to 11257 Revocable Trust. Tract NE 1/4 2-14-14.